Menstrual Migraines: Could Your Migraines Be Related to Estrogen Dominance? 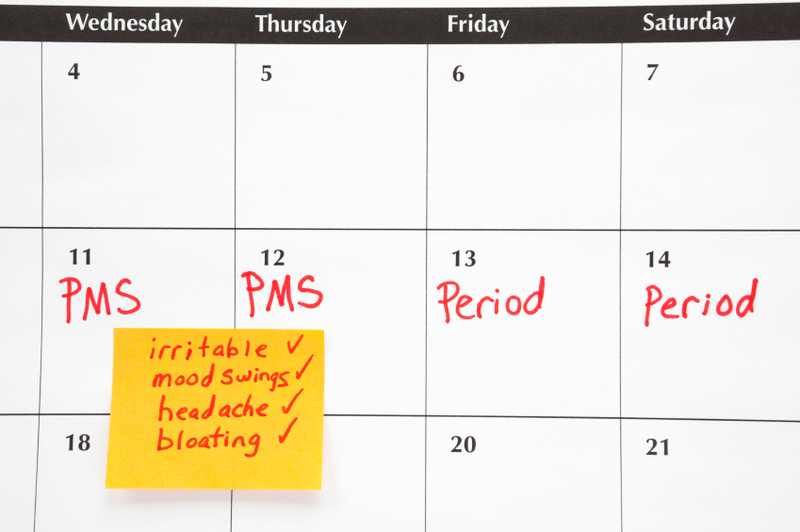 Can you put your migraines on the calendar alongside your menstrual cycle? Chronic migraines are more prevalent in women than in men. The reason may be that many women suffer from “menstrual migraines”- migraines associated with the swing in hormones accompanying their cycle. However, this does not mean that menstrual migraines are normal. If you experience migraines in association with your menstrual cycle, it is quite likely that you may suffer from hormonal imbalance and more specifically estrogen dominance. For optimal health, a woman’s body requires a perfect balance between the estrogens and progesterone. When this normal hormonal balance begins to shift in favor of estrogen, this is referred to as estrogen dominance. Estrogen dominance could just as accurately be termed progesterone deficiency. The body responds to this imbalance with symptoms such as migraines, weight gain, severe menstrual cramps, heavy and irregular cycles, endometriosis, etc. We believe in treating the estrogen dominance, the root of the symptoms, and not just covering the migraine with a pharmaceutical band-aid such as Imitrex or Maxalt. Estrogen dominance promotes fluid retention causing the brain to swell within the fixed space of the skull. This swelling creates the pressure that causes the migraine. Additionally, estrogen causes dilation of the blood vessels. The constriction of blood vessels followed by rebound dilation can contribute to migraines. Estrogen dominance also depletes magnesium in the body, which is key for healthy blood vessel tone. Magnesium deficiency can also be responsible for a spasm of arteries on the brain. A woman’s hormones decline with age. However, progesterone declines at a much more rapid rate than estrogen, creating an imbalance over time. A complete hysterectomy is basically surgical menopause and it obliterates the production of progesterone immediately, instead of gradually as with menopause. You may also be surprised to learn that even if you have a partial hysterectomy leaving the ovaries intact, ovarian dysfunction commonly occurs within two years of the surgery. Either way, you are left with hormonal imbalance. A portion of the blood supply to the ovaries is stemmed and many women experience symptoms of estrogen dominance following the procedure. High levels of progesterone are produced by the placenta during pregnancy. After the baby is born, the mother experiences a rapid drop in progesterone levels while estrogen levels remain the same. Xenoestrogens are foreign chemicals that are in our environment and mimic estrogen in the body. They can be found in plastics, herbicides, pesticides, soaps, clothing, etc. Because they suppress ovulation, progesterone production is stemmed. The good news is that menstrual migraine relief can be as simple as replacing what is missing by balancing your hormones! Replenishing your body with bioidentical progesterone will bring you back to hormonal balance and ameliorate symptoms such as menstrual migraines. Take our symptom checker quiz to find out if hormone imbalance could be causing your migraines. Bioidentical Hormones: Capsules, Creams, Pellets – Which is Best?